Neorice made some new interior graphics; these will replace the current ones in-game, once I deal with the joys of figuring out the tiling logic. 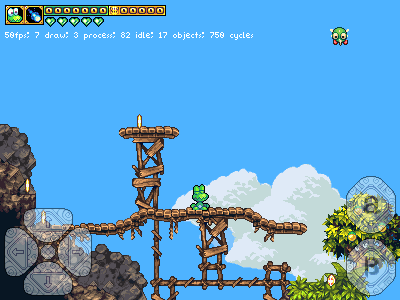 There’s a new, big setpiece for the world-1 environment: frogatto’s house. 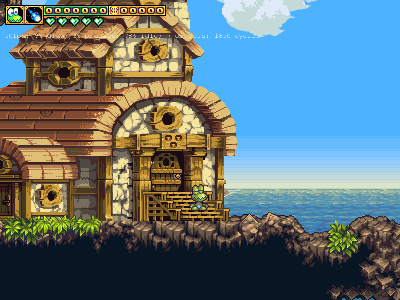 We’re working on a few others in the style to take care of the town and nene’s house. 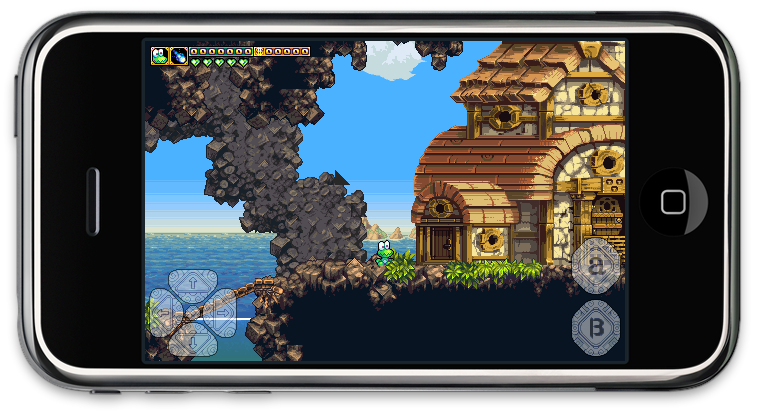 We’ve also updated most of the world-1 levels to actually use the new tileset; it practically feels like a different videogame now (in a very good way). 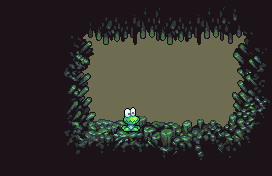 There’s also the beginnings of a cave tileset being worked on. This is the interactible foreground tileset (sans several necessary transitions); we still need a background tileset, and a scrolling parallax background in order to get something we can really make levels out of. 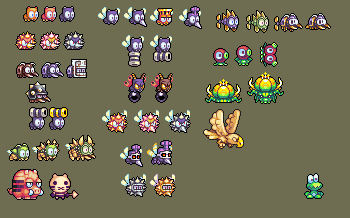 These are being animated and scripted as we speak; expect to see them trickle into the game, one by one.